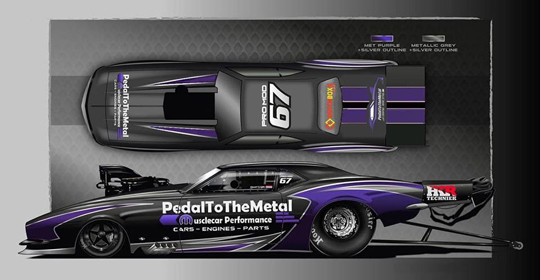 David Vegter and PedalToTheMetal Drag Racing are fully focused on the preparations for the start of the 2019 FIA European Championship at the end of May. In the last couple of months many hours were spent in the workshop to bring the ’67 Camaro back into great shape, but now that the ordered parts are coming in from the States, the work continues in the highest gear. “The Camaro has been refreshed completely, we made some adjustments and we will have many new parts in the car,” said Vegter about the fast impending racing season. After the last race of the 2018 season, the PTTM ’67 Camaro was stripped completely, as the team wanted to start the new season with a completely refreshed car again. “We tightened the body of the car and at the moment it gets a new black paintjob. The most striking will be the new design. Later in the season we hope to have a new carbon front end. Inside the car we made some adjustments to the chassis and the fuel tank,” said David Vegter about the growing list of points of interest. But the most important updates can be found under the body, inside and around the engine. These adjustment must make it possible for the Dutch Pro Modified driver to run quicker and faster than ever before. “We have just got the new pistons and rods, so we can go on with rebuilding the engine. A very important change is the fact that we will use FuelTech this season for the ignition. 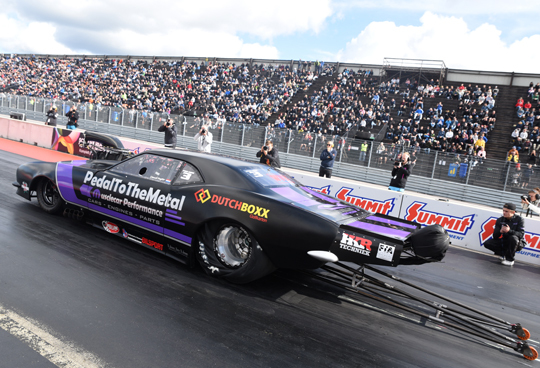 And we have a brand new state-of-the-art Hammer blower, the latest version and the same type the top of the American Pro Mod racers use at the moment. 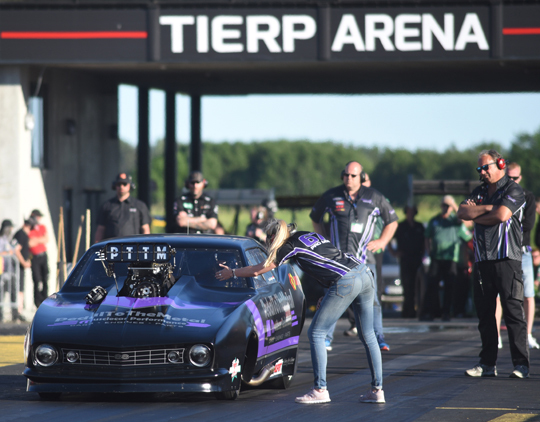 This will help us to produce extra horse power,” said Vegter, who reset his personal best in Finland last year to a stunning 5.856 seconds and is one of the quickest Pro Mod drivers in Europe. PTTM Drag Racing can once again rely on the same crew that have supported Vegter for many years and service the ’67 Camaro between the rounds. 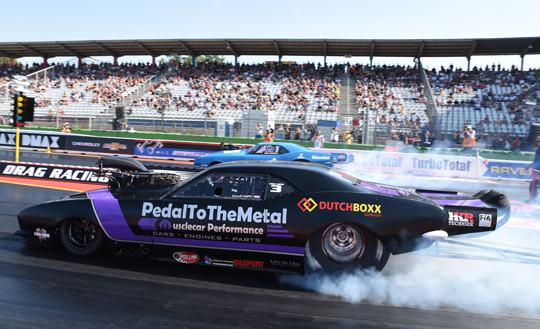 Long time loyal partners PedalToTheMetal Musclecar Performance, DutchBoxx Golfkarton, HKR Techniek, WVB Holland and Marlog Car Handling B.V. have once again extended their partnership with the team. Miedema Accountants, Vivante Yachts and De Vries Classic Cars & Automotive Restorations are the three new names added to the list of ‘Friends of PTTM Drag Racing’.